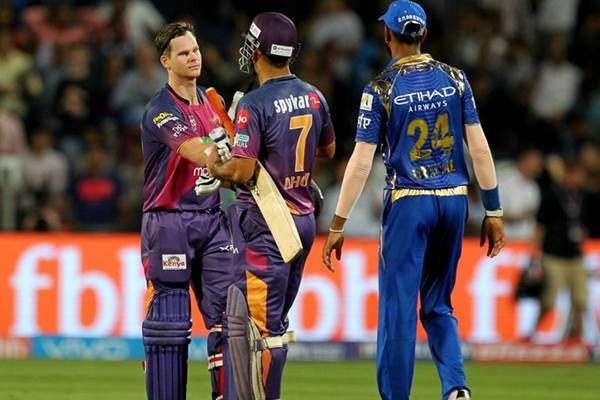 The newly-appointed skipper of Rising Pune Supergiant, Steve Smith went ahead to state that he was not at all concerned about Dhoni’s form with the bat. He directed towards the cliched proverb of ‘Form is temporary, but class is permanent” while highlighting the fact that he will pick up with the bat during the later stages of the tournament. Mahendra Singh Dhoni is one of the most prolific batsmen in the IPL. He has played over 146 matches in the league since its inception in 2008. With an incredible strike rate of 137.7, Dhoni has amassed almost 3300 runs at an average of 38.81. He also holds the record for the most number of unbeaten innings in the IPL with 46 not outs. Although, this season of IPL has been an anomaly for Dhoni until now. The ex-Chennai Super Kings captain has scored only 28 runs in the three outings until now. But Australian skipper remained nonchalant about the Dhoni’s rusty form with the bat. Smith commented ahead of their match against Gujarat Lions, “I am not bothered about his (Dhoni’s) form. He is a class player, and we have just played three games, so he will be fine (with the bat) in the tournament” as quoted as saying by Indian Express. Steve Smith was also disappointed about missing out on an important fixture against the Daredevils. “It was a disappointing game for me and my team as I was not well while the team lost the game. Sometimes you get sick but now I have recovered and should be fine tomorrow (Friday)” said the skipper of Rising Pune Supergiant. However, he stated that the IPL is a long tournament with many more matches to follow and his side to would like to make a comeback in their next fixture against Gujarat Lions. “It’s a long tournament, we have played only three games and have to play eleven more games. We hope to get the winning momentum quickly.” quipped the right-hander.